Last night was great! Reason being, I ran a half mile and walked another two and a half miles after that. That brought me to an hour of treadmill time, an episode of Breaking Bad in the bag and 3 miles done last night! My husband and I recently jumped on the Breaking Bad bandwagon. The first season seems very slow going, so it’s a good series for me to watch on the treadmill. Any other Breaking Bad fans out there? 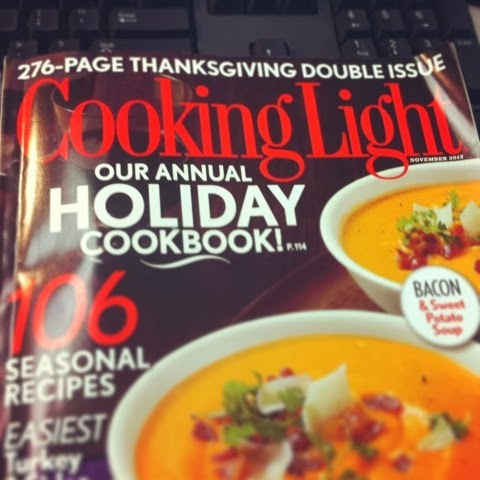 Yesterday, I spent some time over lunch looking through the new edition of Cooking Light Magazine. 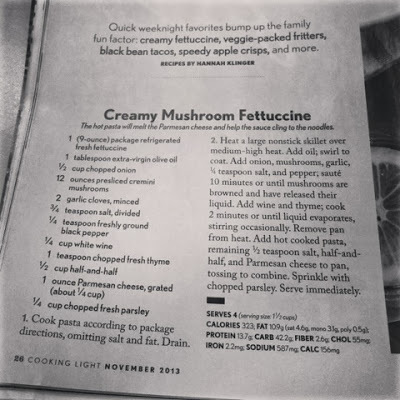 I tabbed quite a few recipes that I’d like to try. I even took a couple pictures to share with you guys! Cooking Light Magazine, November 2013 issue. 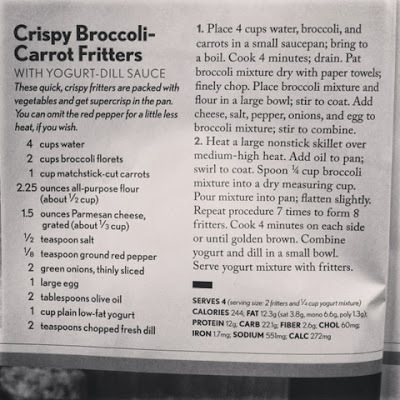 Recipe from Cooking Light Magazine, November 2013 issue. How are you doing with your October goals? Hubby and I are (were) Breaking Bad fans ... we watched it to the end.